Set in a world full of springwork trains and horses, where the North American Continent is instead a giant clustering of islands (although I’m not certain of the state of the other continents of Planet Earth), The Rithmatist is one of three attempts by Brandon Sanderson to venture into the world of Young Adult fantasy/science fiction. 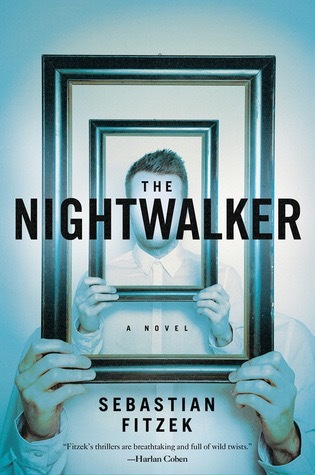 The Nightwalker, by Sebastian Fitzek, is a masterpiece of a psychological thriller. It is so good that I made the mistake of wanting to read a few chapters before bed, read a third of the book instead, and then was unable to sleep for an hour after that. Leon Nader wakes in the middle of the night to find his wife crying, beaten, and packing frantically. He has no recollection of beating her, but when she refuses to answer his questions and rushes out of their apartment, he is struck with a terrible fear: what if he’s started sleepwalking again? When he was a child, his foster parents found him, sleepwalking, holding a knife over his foster brother. Though his sleepwalking was supposedly cured, he is worried that his violent sleeping self has reappeared. As Leon strives to learn the truth behind his wife’s flight and subsequent disappearance, he buys a head camera to track where he goes when he sleeps. What he discovers is something he never imagined: there are secret tunnels and hallways throughout his apartment complex, and his sleepwalking self apparently knows all about it. The more he looks, the more he wonders: is he more than a wife beater. Is he, perhaps, something even darker? If you read this book, make sure you give yourself enough time. And don’t read it right before bed. and his twisted sense of how evil can rear its ugly head. I even enjoy his sometimes over-the-top poetic lyricism. All of these things are things that make some people cringe, shake their heads, and steer clear of Dean Koontz, but I like this writing from him. I even like his preaching when it’s not too loud and obnoxious. So I like Dean Koontz. I can like what I want. I’ve wanted to read Dean Koontz’s Frankenstein series for a while, but back when I first became interested in it I was on a buy-everything-instead-of-checking-it-out-from-the-library kick, and I was broke. So I passed over it, told myself I would read it someday, and bought the next book in the Odd Thomas series instead. Odd Thomas is a good series in that it has self-contained stories with an overarching theme and characters that follow from one story to the next. Frankenstein: Prodigal Son is…well, let’s say that when I came to the last page and realized the next ten pages were promotions for other books, I was angry. Actually angry. There was one bad-guy character that only travelled from one location to another (and the build-up of him making the decision to go from one location to the other) in an attempt to build up tension. And that’s it. That’s at least fifty wasted pages, because who knows if the tension will still be in place at the beginning of Book 2. Plus, including Travelling Bad Guy, there are four separate bad guys in this book. Four, all working mainly separate storylines with separate motives that interact in peripheral ways (Oh wait, if you look at it a certain way, there are actually five bad guys). And only one of the bad guys’ stories is resolved—by Bad Guy 1 being murdered by Bad Guy 2. It’s like Spider-Man 3 on steroids. Too many stories, too little resolution. Me no likey stories that are structured as total and complete cliffhangers with not one iota of resolution. Cliffhangers are okay, but let me have a little bit of closure! What about the rest of the story? I enjoyed the two main detectives, Carson O’Connor and Michael Maddison. They had a good back-and-forth banter that I really enjoyed, and there’s obvious setup for a future romance that both of them want but neither of them will admit because they don’t want to be reassigned to different partners. Dean Koontz is good at creating relatable characters with dialogue that mainly flows naturally. For some reason, though, Koontz didn’t describe the physical characteristics of Carson. I picture her as a redhead with a long ponytail and a spitfire personality, but that’s just me. The main, overarching villain, the villain who is the reason all the other villains exist (except that one that died), Victor Helios, is wonderfully Koontzy. The highbrow sophisticated intellectualite looking down on all the rest of humanity villain with an absolute lack of moral conscience is completely classic Koontz. One thing about Koontz’s villains: there are no redeeming qualities about them. They are most definitely Evil with a Capital-E. You love to hate them, and you hate to love them. I’d love to learn more about how Victor Helios, aka Frankenstein, managed to stay alive for the past two hundred years. And, if I continue the series, I can’t wait to see Carson and Company take him down (unfortunately, I have the feeling that other villains will take away from any metaphorical game of chess between the two groups). One thing I wished was in the book more: Frankenstein’s original monster, Deucalion. What with all the villains and crime-fighting going on, Deucalion barely makes an appearance. And as he is probably the most morally complex and three-dimensional character in the novel (at least as far as I can tell, from what little we can see of him), and as he has quantum physics superpowers (err, I think they’re related to quantum physics), that is a shame. It’s like having a Dresden Files book with hardly any Harry Dresden. Again, if I continue the series, I hope there’s more Deucalion in the future. All in all, I’m glad I checked this book out from the library instead of buying it. I still may buy the series after finishing it, but this is one book that I would have been disappointed I’d paid money for if I had opened my wallet. 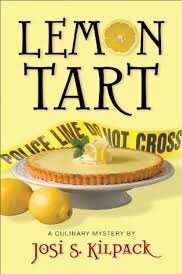 If you like classic Koontz, you’ll like it. Just be prepared for too many cliffhangers and too little appearances by what at first glance looks like the main character. Points for Dean Koontz’s Frankenstein: Prodigal Son: Koontz does have some compelling questions about humanity. What makes a person human? What are the moral implications of “programming” someone’s personality? There’s science vs. God, agency vs. fate, whether artificially created beings have a soul. These are all themes that make me interested in seeing where Koontz goes with the series. I would love to see him continue with these moral themes. 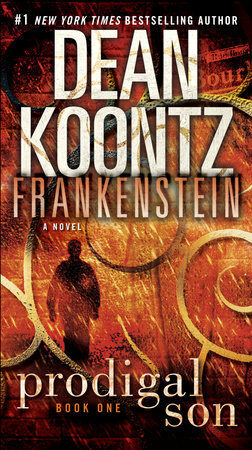 Points against Frankenstein: Prodigal Son: Koontz, once again, has a child with autism in his book. And, as always, they’re on the practically nonverbal end of the spectrum, and are completely personality-less aside from being a precious, pure person that Protector must protect. I don’t know why Koontz has this fascination with people with autism (and I understand that this is an older book, and so his sciencey bits about autism don’t really pan out, but that can be forgiven). I haven’t really researched his life, so maybe he knows someone who is autistic or whose child is autistic. Maybe he just learned about autism somewhere and has decided, however naively, to be an advocate to spread awareness through his books. I just wish he’d do a bit of research in between books if he insists on making these characters. The first book I ever read of Koontz’s, By the Light of the Moon, had an adult with autism, but at least that character had more personality (at least from what I remember. It’s been years since I read it). Maybe Koontz doesn’t realize that children with autism have personalities too. Maybe he doesn’t realize that autism is a spectrum. Maybe he should spend some time with different kids with autism. I have. I taught two kids with autism directly and one kid indirectly. All three of them had different social skills, different tics, different -abilities. All three were unique. They were all verbal. One was delayed verbally, but he had the best sense of humor and loved to draw Wimpy Kid-style comics for his homework. One didn’t talk until he was three, but his mom worked with him so much that by the time he entered my classroom you wouldn’t know he had autism. He was the most popular boy in class and socialized with the best of them. Another had Aspberger’s, but he also said he had whatever was on the tv commercials the night before and would try to get out of homework because of it. He was my most frustrating student, since he wouldn’t listen to instructions, would always make excuses, complained loud enough for the whole class to hear, was always pumped full of sugar and simple carbs, and had a hard time focusing. He most certainly was not a little angel. If Koontz continues making books with angelic autistics (since he still insists on calling people with autism “autistics”), I may have to drop him as a simple pleasure. Or at least research his books to see if there’s an “autistic” in it before reading it. I’ll let it slide for Frankenstein, since it’s one of his older books, but new books Beware!